Mod The Sims - Unisex Childrens Harry Potter Inspired Long Sleeve Tshirt in 9 colours. Unisex Childrens Harry Potter Inspired Long Sleeve Tshirt in 9 colours. First time creating any kind of CC so please, be gentle with me! Long sleeve Tshirt for children, both male & female. Tested in game and as far as I can see there are no problems. Im a huge Harry Potter fan, hence why these were created! There are 9 colours: Black, Blue, Green, Grey, Grey with a lightning bolt pattern, Pink, Purple, Red & White. 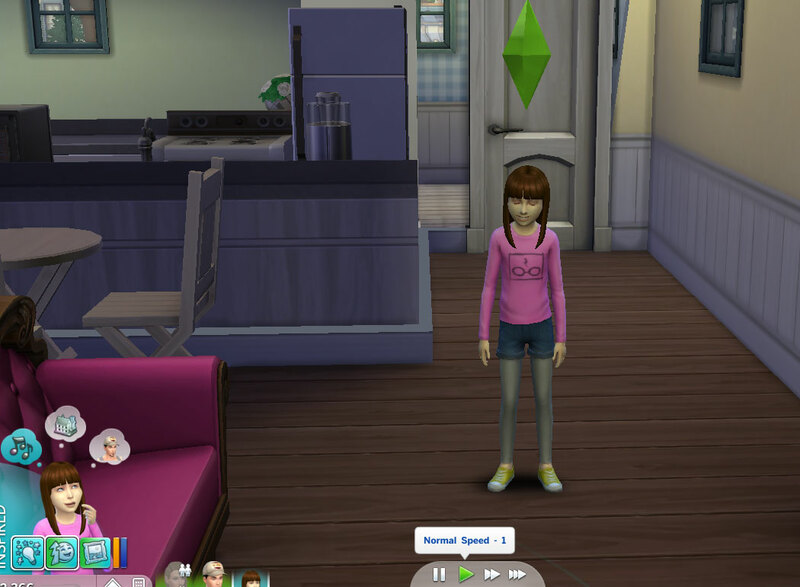 Each colour has its own swatch in CAS, making them easy to find. 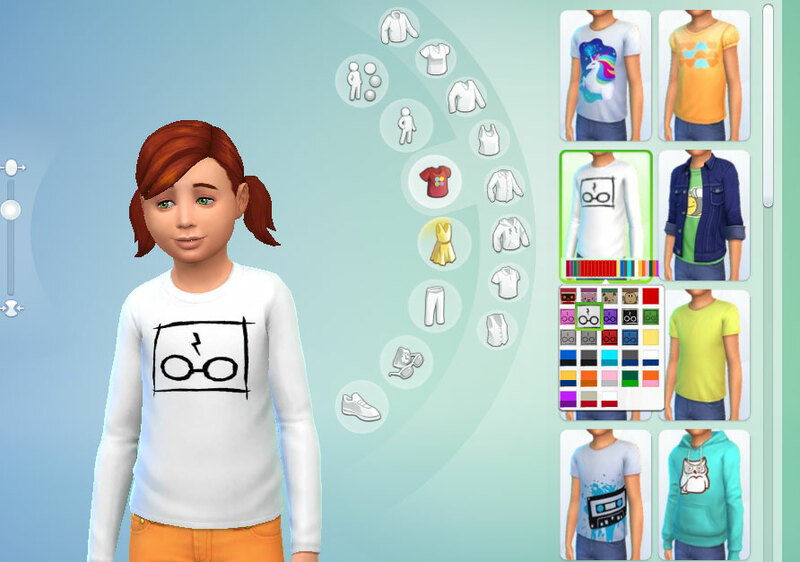 These are recolours of the Childrens unisex long sleeve tshirt in the 'Everyday' category, each with their own swatch and will not replace your original Sims 4 items. There are 2 files: One called 'Separates', with each colour as an individual package in case you don't want all the colours. The other is called 'All' and you guessed it...it contains all of the colours in one package. Feel free to get in touch & let me know what you think, good or bad! Not that I think anyone would but please do not upload to any paysites, that's a big no. Nineteenohsix_HPChildrenSeparates.rar | Description: Individual packages of each colour. Nineteenohsix_HPChildrenAll.rar | Description: Combined package featuring all 9 colours.